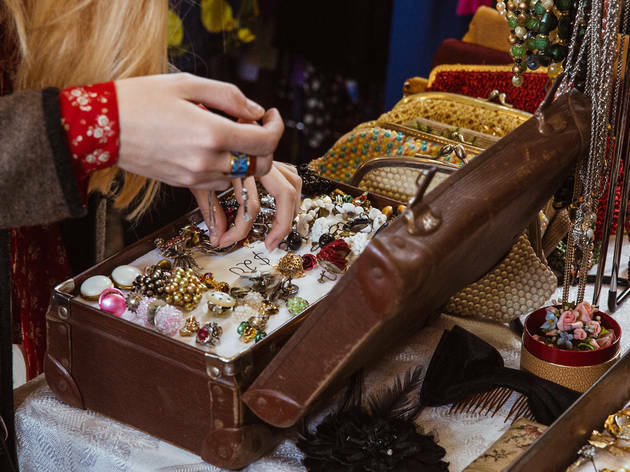 Renounce your fast-fashion sins and stay retro with some fabulous finds from this haven for pre-loved fashion and other eclectic goodies. 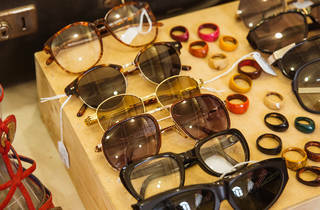 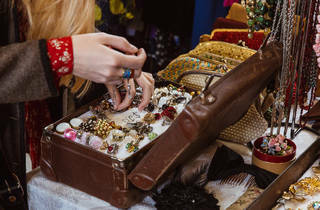 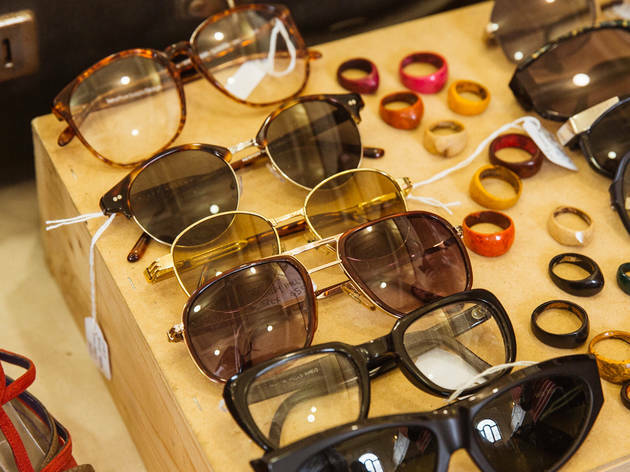 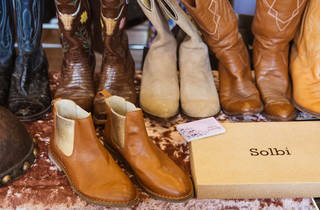 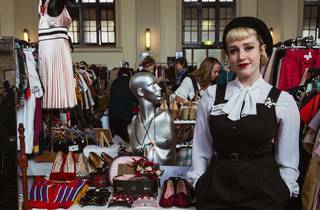 There’s a mix of vintage and modern clothing – it leans towards traditionally feminine attire – and accessories, as well as handmade jewellery and funky trinkets. 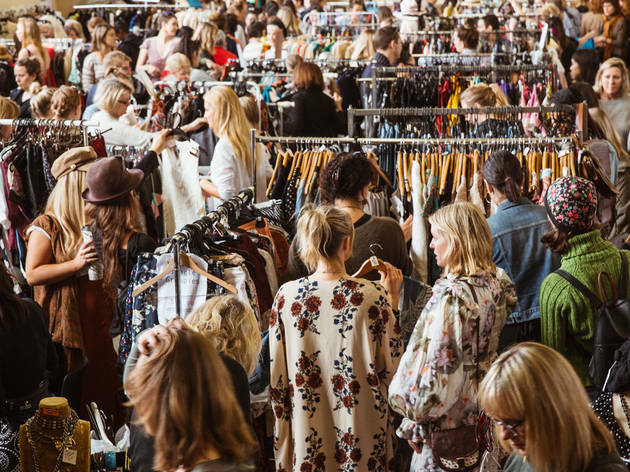 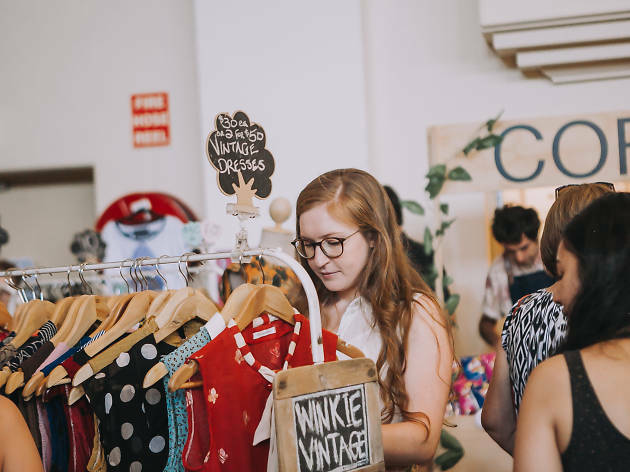 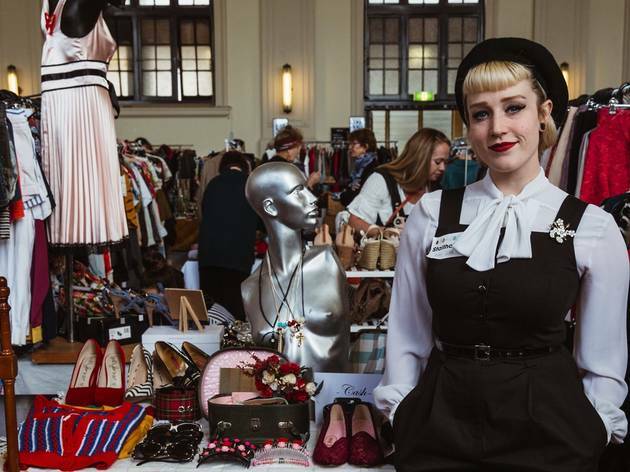 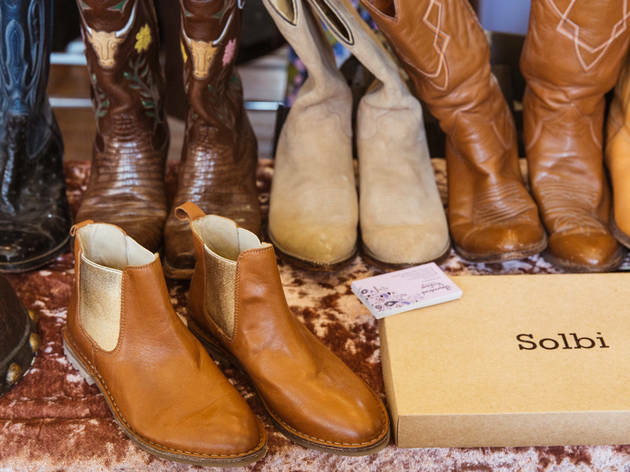 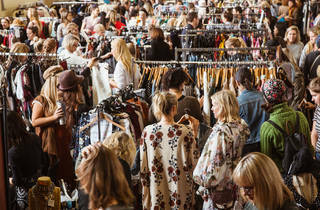 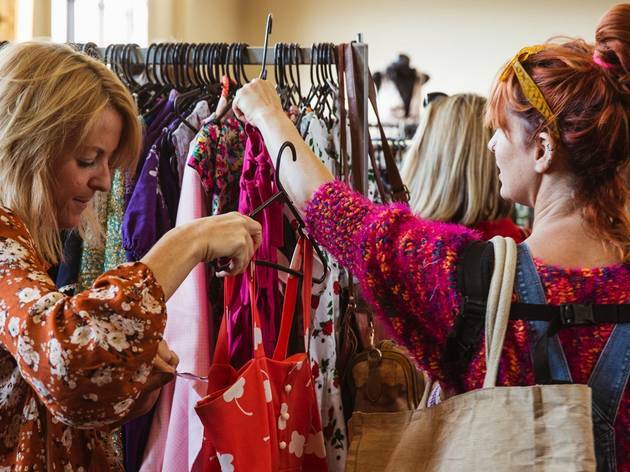 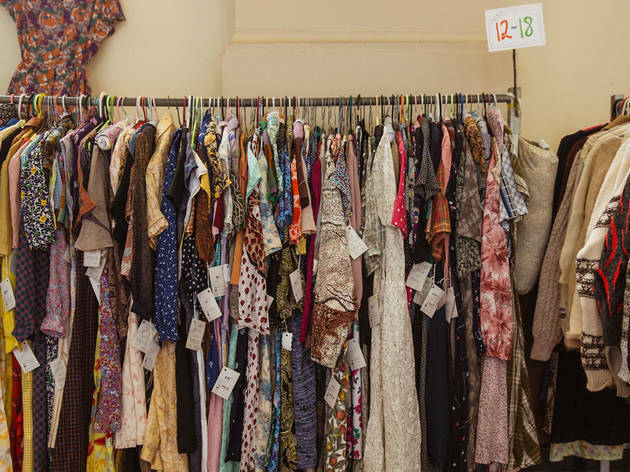 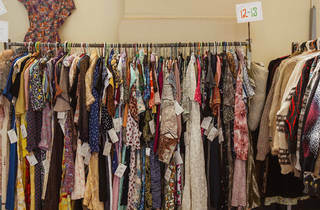 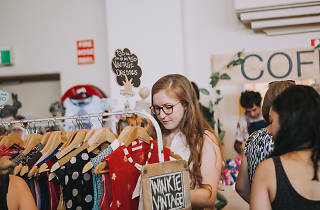 You’ll find high-end designers like Ferragamo and Carla Zampatti, as well as good quality high street styles from Gorman and Sass & Bide among the 60 or so stalls packed into Marrickville Town Hall. 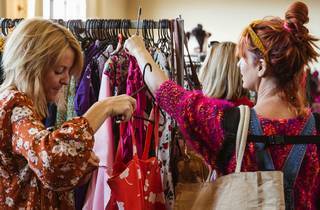 It’s $2 entry at the door, and you can hone your bargain-spotting sense with a coffee from one of the caffeinating carts on site.